The features of the Zonda wheel have been enhanced even further with a C17 rim that is compatible with more comfortable clincher tyres. It's also 10g lighter than the previous version. The Zonda wheel is entirely hand-assembled by a specialised Campagnolo® technician and is checked in every tiny detail with electronic instrumentation. This ensures maximum performance and reliability for all Campagnolo® wheels. 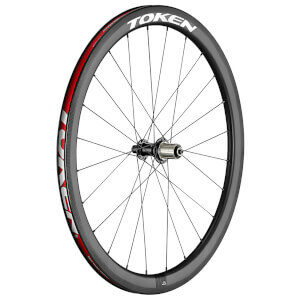 Excellent wheelset for the money! 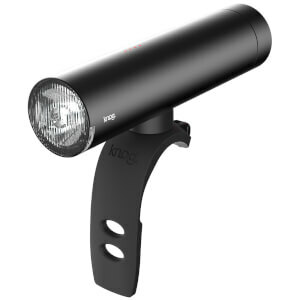 Late last summer I bought these for a Synapse Black Inc I was building up with Campy Chorus 11-sp. I have almost 500 miles on them. 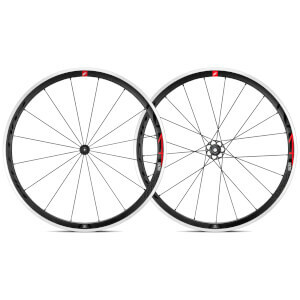 This is an excellent wheelset and a fantastic value. They were true right out of the box and, while 500 miles isn't much, they're still right on the money. For their weight, these are super solid wheels. Ideal for New England roads that, especially this time of year, are pocked with pot holes and cracks. For what it's worth, they look great w/the Black Inc / Campy build. Over the course of the first month, especially when out of the saddle or grinding hard on a climb, the wheels did give me an occasional spoke ping. I always gave the wheels a good inspection afterward and nothing was ever amiss. After a few hundred miles, the wheelset settled in and has been quiet since. I'm not a fan of loud hubs, so I'm loving the Campy hubs on these. All around, this wheelset is a winner. Enjoy! Great wheel for the price! The Zonda wheels are durable (most important, to me). Light enough to make me happy. 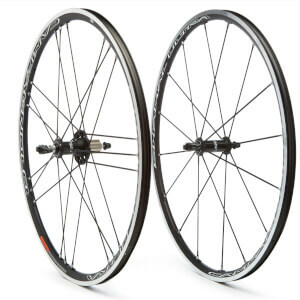 The cost is low enough to make the wheelset a bargain. Have a pair of Zonda wheels from back in 2005, and they have thousands of trouble free miles on them. Also, considering the price difference and the weight difference; I consider the Zonda's the "best buy" in the Campy wheel line. A great service from Probikekit resulted a fast delivery of a pair of Campagnolo Zonda C17 Wheels. As usual Campagnolo quality was obvious from the moment I unpacked the parcel and took out the wheels. Solid, Light and free spinning with a legendary status, they have lived up to the hype and proved resilient, true and fast. An Excellent pair of wheels at a reasonable price. Just got these and it is the end of the season so only have about 4-5 rides on them for 125-150 miles. But so far, I love them. First setting them up was a breeze and they present themselves as high quality. They are much lighter than the stock wheels my Specialized Roubaix came with. They ride well, are quick and responsive and seem stiff but not uncomfortable. I am a fairly large rider at 6'1" and 195#. So far I think these have been a great upgrade for the budget conscious me. I used Zipp 404 before using this one. To tell the truth, I think Zonda is not so much worse than Zipp. I love this wheelset. It’s for all rounders and you can have advantage in uphill. I recommend this to anyone who want ride seriously. It goes without saying they’re Campagnolo! Top quality, well built, look class and work brilliantly. Even the packaging is superb. Built by the experts and every action is signed off by the builder. Money well spent.